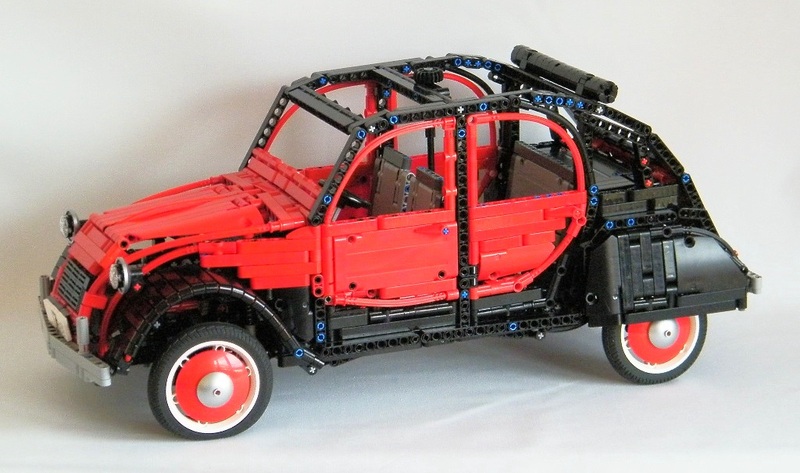 Smaller versions of this remarkable 2CV between $100-$160 can be found via this link mochub.com/user/59. 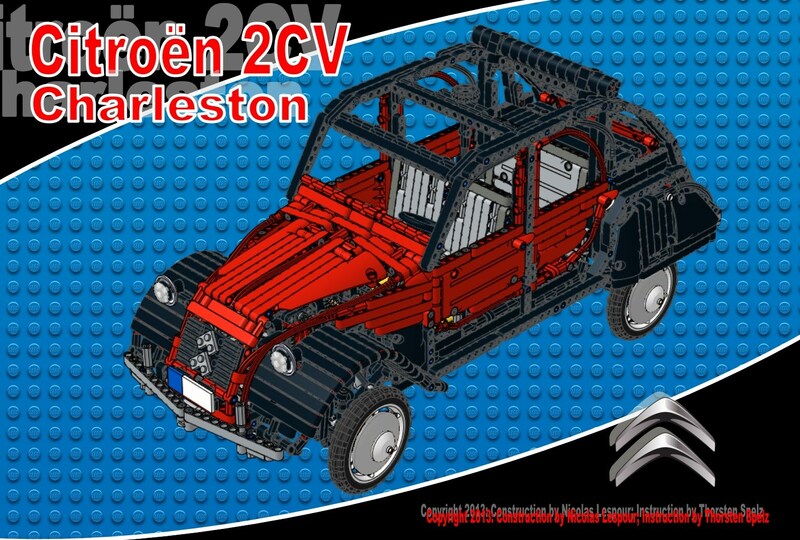 For all 2CV fan, this is a big replica of the Citroen 2Cv in Charleston color scheme (black and red). Features realistics independant suspensions, steering with steering wheel and HOG (hand of god), working engine with 4 speeds transmission with lever on dashboard, removable bodywork, seats and bench, opening hood and trunk and doors, and adjustable headlight. You can read more about its story in lego on my blog. You will find also sample of the instructions and other pictures and informations. Please note that the rims cover (dish) are supplied in greay instead of red as seen on the picture above because of the availability of these parts. The 195 page PDF building instructions are included in the price. 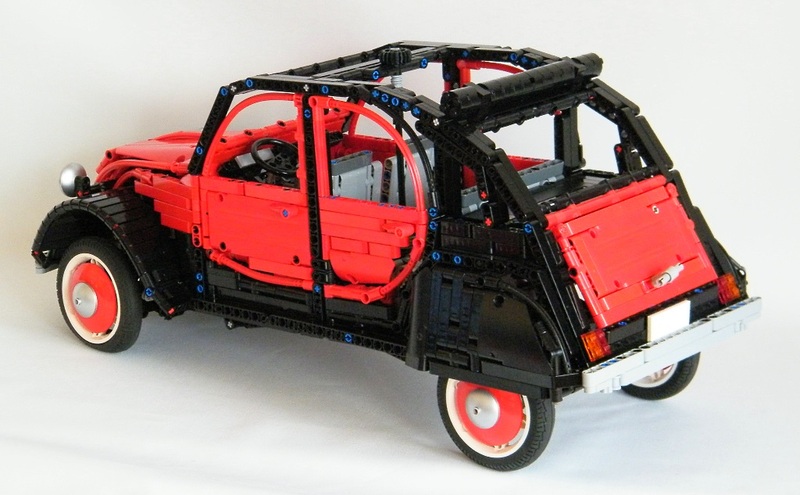 I am you will enjoy the building of this masterpiece, definitevely a perfect gift for a 2Cv lover.